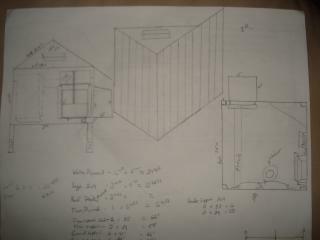 Before I started construction I had spectacular designs. 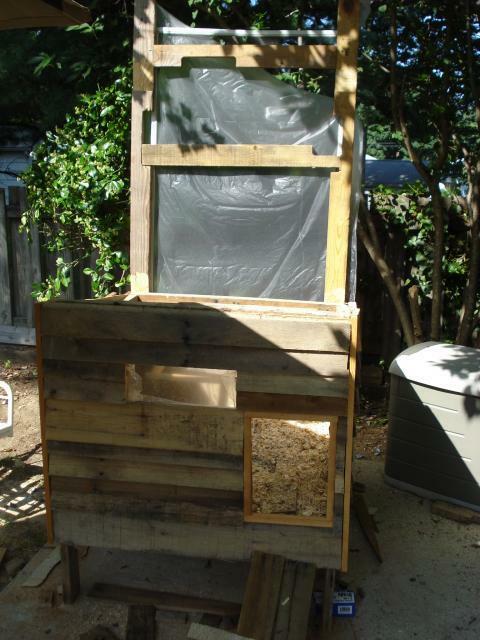 However, when I started to build I quickly realized that the wood from the pallets were various sizes and would make it hard to follow. I used the designs as a reference and did serve as a good "idea". 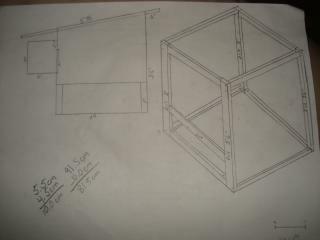 I forgot to take a picture of the coop all framed out but, it did resemble the original design. When I got the girls they were already three weeks old, so I had to move fast on the build. 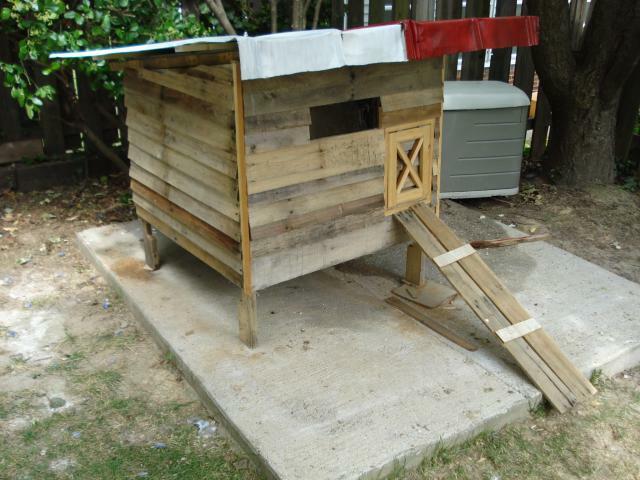 I had to build the coop in several stages so they could be outside while I slacked on the construction. 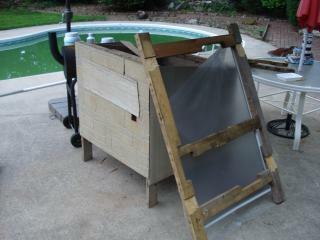 At this point I had the coop framed out and covered with the 70s style paneling. 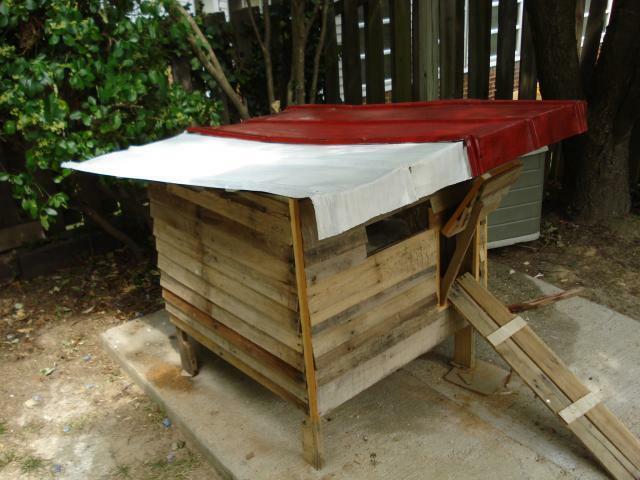 I also had a completely removable roof with a screen and plastic sheeting attached to keep them dry in the mean time . 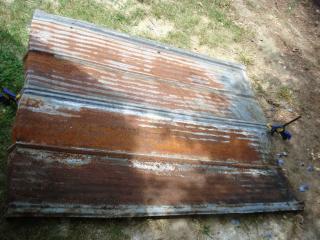 Later I attached the hinges for easy access. After a few weeks I finally got the lap boards on and the window/door framed out.